Ah, the spring beer; where the bock, dry stout, fruit-based wheat beers and Irish Reds all attempt to reign my least favorite season. Why has spring become so glamorized into crocuses emerging from freshly-thawed soil, birds chirping, and dewy-eyed hibernators emerging to forage for asparagus and fiddleheads? Spring is the pits. Spring is muddy shoes and never knowing what type of weather to dress for. It’s gorgeous one day, snowing the next, and my cat is starting to make weird clicking noises at birds, planning an elaborate, “Escape From Alcatraz” type of getaway. Spring time in the beer world means that brewers are playing around with all sorts of fun projects before it’s time to max out their tanks for summer consumption. Styles range from farmhouse ales to big IPA’s, basically all across the board. It’s an exciting time. Here’s a look at what’s brewing this spring at some of our favorite Boston breweries. The crazy kids over at Backlash Beer Company have decided that their Uprising Series, which was originally planned as a three beer series with each showcasing a different hop variety, needed a fourth member. Enter CHAOS Double IPA: a beer that will use all of the hops seen in the Uprising Series plus more; Citra/Simcoe/Amarillo/Mosaic/Galaxy. I’m pretty sure this is going to be one of those “it goes to 11” type beers; over-the-top and awesome. Trillium Brewing Company is holding its first anniversary party on Wednesday, March 19 at 7:00pm at Brookline’s The Publick House. The whole line of Trillium brews will be available, including Wakerobin Farmhouse Red Rye, Dry Stack Batch 3, and the Anniversary Double IPA. If you can’t make it to the party, just stop by their tasting room at 369 Congress Street, open Tuesday – Thursday from 4:00-7:30, Friday noon-7:30, and Saturday noon-6:00. 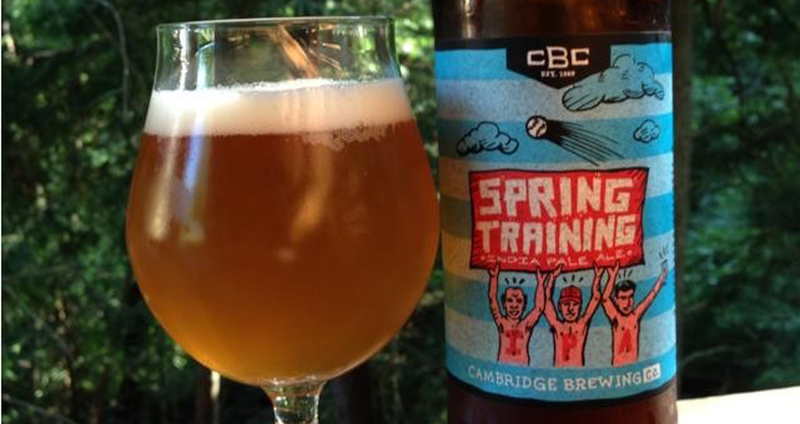 Cambridge Brewing Company is pouring its latest seasonal, Spring Training IPA. Brewed with New England-grown pale and wheat malts, this beer gives off the floral essence of wildflower and freshly-cut grass, but is also dry-hopped if that isn’t enough for you insufferable hopheads. Pretty Things Beer & Ale Project has just released Once Upon A Time – a historical recreation of the 1955 Double Brown from London’s Whitbread Brewery, as well as Grampus – a hoppy golden double mash beer. Coming up on Saturday, March 15, Chelsea’s Mystic Brewery will be releasing Mary of the Gael – a hoppy saison, and Sauterneal – a barrel-fermented farmhouse ale. Some other new local releases to keep an eye out for: Idle Hands Craft Ale’s dark saison D’Aison, Night Shift Brewing Art #18 – a 50% berlinerweisse and 50% brett ale, not to mention it’s barrel-aged. And we can’t forget Somerville’s Slumbrew, with its fresh and fruity Double IPA Snow Angel.